Ingal Civil Products’ delineation and guideposts products are manufactured from high visibility materials creating driver confidence. At Ingal Civil products we pride ourselves on having made a significant contribution to the safety of our regions roads and continue to invest in the design of delineation and guidepost products. The P.E.T. 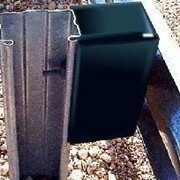 Guardrail Delineator is attached to the blocking pieces of FLEXBEAM and THRIEBEAM guardrail. 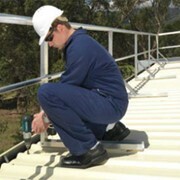 Manufactured from impact modified nylon, and UV stabilised, the P.E.T. 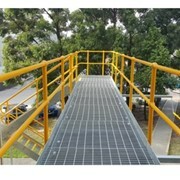 Delineator is long lasting and is highly visible. Each P.E.T. Delineator is fitted with high intensity and diamond grade material. The P.E.T. Delineator has no aggressive edges or corners reducing the potential for vehicle snagging. When used with steel blocking pieces, the P.E.T. Delineator is secured with two setscrews. When used with Ingal blocking pieces, the delineator engages two slots and a ‘click-in’ motion eliminates the need for setscrews. As Australia’s leading manufacturer and supplier of road safety barrier systems, Ingal Civil Products (formerly Armco), have made a significant contribution to the safety of our regions roads. We are proud of our reputation as a supplier of innovative, high quality products backed by our professional sales representatives. Our product range favourites include Flexbeam guardrail, Flexfence wire rope safety barrier, TRACC crash cushions and the ET2000 guardrail terminal. Recent additions to our product range include spring steel buffas, workzone barriers, RTA pedestrian fencing and motorcyclist barriers. 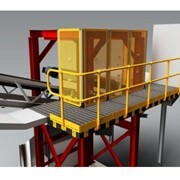 Our commitment to product development through rigorous crash testing ensures that our customers are well equipped with the highest standard of safety barrier systems. Mention IndustrySearch so Ingal Civil Products can best assist you! Get a callback from an expert at Ingal Civil Products to help answer your questions.